The Bold Status Link Necklace lives up to its name. It is bold and beautiful. The necklace has movement, sparkle and shine. It is extremely comfortable to wear and elicits many compliments. The kit is in an 18 or 36 inch length. 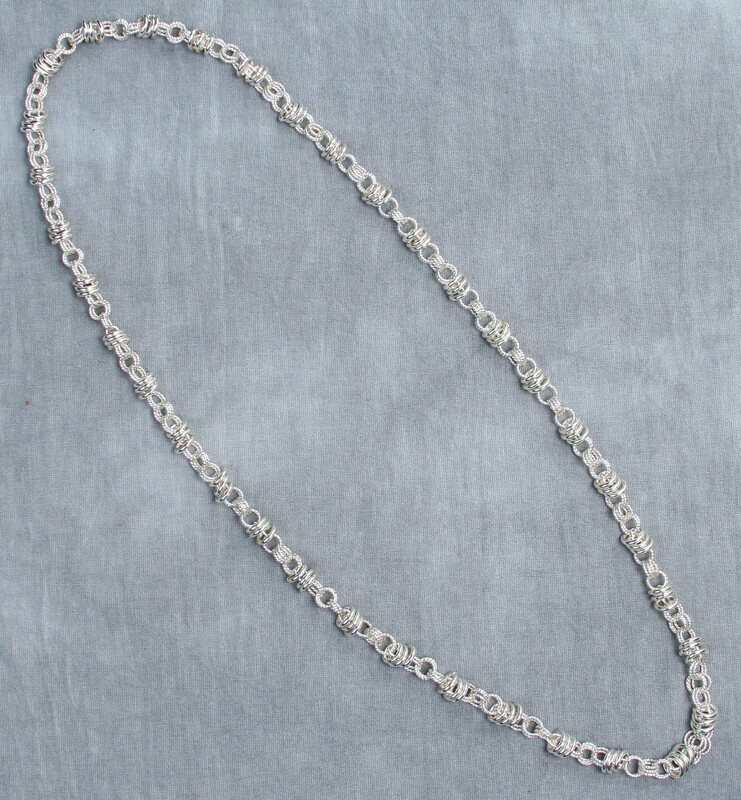 The 18 inch necklace includes a sterling silver or yellow gold filled balloon clasp. The 36 inch necklace does not need a clasp so none is supplied in the kit. This is a beginner weave.